Is the Regime in Addis Ababa Blackmailing the International Community? Ethiopia’s military participation at the international stage has a long history. Among the highlights is the 1951-1954 mission where Ethiopian troops took part in the Korean War, in which Kagnew battalion, led by Major General Mulugeta Buli, stands tall. The Battalion consisting of 3158 soldiers along with contingents from twenty countries, participated and performed with great distinction with 121 Ethiopian soldiers who died and 536 wounded. When the Korean war ended, the Ethiopians were the only ones with no prisoners of war to collect from the North Korean side because the Ethiopians never surrendered during their four-year mission. At the end of the war there were American POWs in North Korea and several thousands from other participating countries. This prestigious and well respected international military tradition of the Ethiopian Army has been tarnished by the current ethno-kleptocratic regime of the Tigray People’s Liberation Front. Since assuming power twenty-five years ago, the regime has created an army and police force of an ethnic hegemony in which the command and control of all departments and divisions, including chief of staff and high command, are exclusively reserved to ethnic Tigreans. It is this military, with no internal cohesion and national character, that has been involved in international peacekeeping in number of countries, including in Somalia. 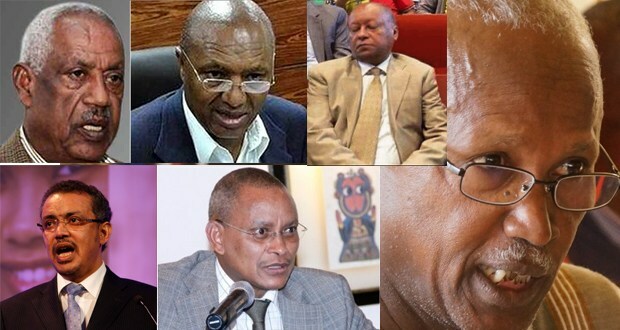 The international missions under the TPLF regime are largely motivated by their desire to garner international legitimacy and use the peacekeeping opportunity as a cash cow for the corrupt senior commanders and politicians earning large sums of hard currency. Furthermore, the current army and police have a well documented appalling record of human rights violations against innocent and unarmed civilians demanding their rights in Ethiopia. On October 26, 2016, the regime’s incoherent Communications Minister, Getachew Reda, announced the withdrawal of the regime’s forces from Somalia citing “lack of support” and said “the international community has a responsibility either to train or support the Somali National Army.” Well, the problem with this argument is, firstly, the Somali government can speak for itself and ask the international community for help. Second, the international community is already assisting the Somali government in training its National Army and Police Force. Therefore, the accusation that the international community is not doing something is unfounded and false. In fact, the international community has invested a significant amount of resources and expertise to stabilize Somalia and establish an inclusive and capable central government. The TPLF regime’s familiar strategy of “Après moi le déluge” is something we have become too familiar within the national political discourse. Now, this same strategy has been attempted vis-à-vis Somalia and Al Shabaab. As one observer put it, “Although it wasn’t the primary reason, the withdrawal of troops from Somalia is an audacious attempt to blackmail the international community.” The truth is the international community has woken up from its long sleep regarding Ethiopia and the regime’s atrocities and is beginning to stand with the Ethiopian people and support their democratic aspiration. For the regime, the decision to withdraw its troops from Somalia has two reasons. The first reason is to blackmail the international community by raising a concern that the withdrawal of the regime’s troops will create a vacuum, and thus Al Shabaab will be reconstituting and ultimately taking control of large swath of land in Somalia and possibly spreading into the greater Horn of Africa region. Furthermore, the regime also wants to blackmail the international community that the vacuum will attract extremist groups other than Al Shabaab to take a foothold in Somalia. The second reason is that the regime doesn’t want the international community to know. Which is the political, economic, social and security crisis in Ethiopia. This fact was openly admitted by the regime itself on October 8, 2016 when it declared a ‘state of emergency”. The popular uprising, which covers a large territory of the country has stretched the regime’s security forces capability of putting down the rebellion. Thus, the practical solution for the regime is to withdraw troops from Somalia and other peacekeeping missions and try to use them to quash the popular uprising, which it tried and failed so far. This is the main reason for the withdrawal although, the regime is trying to spin it use it to blackmail the international community. Sources close to the regime are also saying that the “regime is making a move to withdraw from the International Criminal Court (ICC)” following in the footsteps of Burundi, South Africa and the Gambia who announced that they are leaving the international body. This move by the regime should alarm the international community as well as citizens of Ethiopia. Obviously, this is a clear strategy that the regime is trying to pre-empt accountability and international justice for atrocities it has committed over the last three decades. In effect, the regime is taking sides with indicted war criminals, such as Omar Al Bashir of Sudan and others. Finally, the so-called “war on terror” has been used and manipulated by number of authoritarian regimes especially those in Africa to ally themselves with the western powers and access resources and support from the developed economies. This strategy of jumping into the “war on terror” band wagon is no longer a workable strategy for authoritarian regimes. Moreover, Western policy makers are realizing that the most potent force against terrorism and extremism is viable support for democracy and working with pro-democracy forces to establish institutions that will uphold the values of democracy, rule of law and political and economic freedom.